buffer-watcher.el makes it easy to evaluate shell commands each time a buffer is saved in Emacs. You can specify a mode and base path for which a specific script should be evaluated, and each time you save a buffer that matches the criteria, the hook will be run. The command will be run from within the same folder as the save file, and % is expanded to the buffer's file name. If you're into customize, you can M-x customize-group RET buffer-watcher to add your commands. 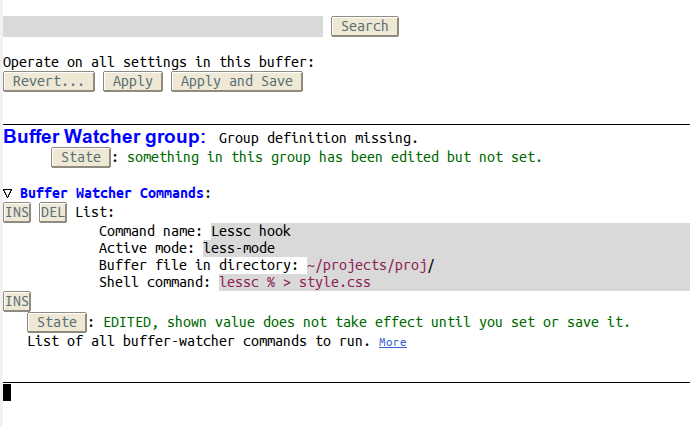 You can grab buffer-watcher from my emacs settings on GitHub.